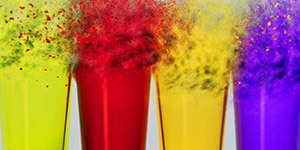 Ferro Pigments is excited to be participating in the 11th European Additives & Color Conference, March 27-29, 2019 in Frankfurt, Germany. 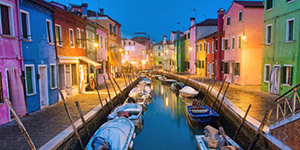 Organized by the Society of Plastics Engineers (SPE) and Additives and Color Europe (ACE), this is a premier opportunity for the entire plastics additives and colors community to connect and learn about the latest developments in the coloration of plastics and polymers. As the proud sponsor of the dinner for this event, and in celebration of our centennial, Ferro will be displaying at Tabletop #1. In addition, Daniel Lladó, Ferro’s Technical Marketing Manager Plastics, based in Barcelona, will be giving a paper titled “Color Solutions for Plastics in Contact with Food” at 14:40 on March 28. He and Ferro’s Frankfurt-based team members Sabine Eppich, Sales Manager, and Hans-Peter Letschert, R&D Manager, also will be on hand throughout the conference to discuss opportunities for uses of Ferro pigments in plastics. “As a highly technical, peer-organized event, the European Additives & Colors Conference is one of the best opportunities we all have for meeting like-minded professionals from across the industry,” commented Lladó.